A holistic module to track and monitor applicants across job boards, recruitment portals, and websites throughout all phases (find, shortlist, interview and hire) seamlessly in a single interface to collaborate with recruiters and streamline the hiring process. Store and retrieve all up-to-date, employee-related information (basic profile, employment history, performance, role, etc.) on a centralized database that can be accessed anywhere, anytime to take workforce or organization-related decisions. Accurately build an organizational structure with pre-defined industry-relevant templates, business processes, related reports, and compliance obligations to support global employee relocation and all other global workforce management tasks in a flexible way. Include multiple plans and assorted options to auto-define, manage, and tailor a full spectrum of employee-specific benefits in a single interface to easily govern the eligibility/costs associated with it. Tone down the complexities in payroll processing with a complete array of payroll services by offering inbuilt accounting module, automated tax computations, frequent audit & reporting tool, tabular data storage, and configurable rule-based engine. Optimize daily headcount using trends forecast and pre-defined templates for planning and managing workforce properly between processes like recruitment, employee on boarding, learning & development, etc. Design and manage comprehensive employee compensation plans across multiple teams, departments, and geographies uniformly. Link compensation with performance and organizational objectives, aggregate compensation data to view/edit it anytime. Set individual goals, assign weight age, collaborate, create a development plan, and align it with organizational values to evaluate the performance of each employee in an organization with comprehensive reviews (quarterly, half-yearly or annual). 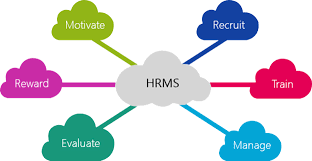 Automate time sheet process of employees to analyse performance, estimate costs incurred across the organization under several parameters (employee, department, client, role, project or activity) and integrate seamlessly with payroll and other modules.